I was up at the JCMT last week helping out with ‘Imiloa and SkySkan film crew as they collected footage of the telescope for their 3D productions which they show at the ‘Imiloa planetarium. They are doing all the telescopes on Mauna Kea and this past week was our turn. They have a nice set up. Two Nikon D700 cameras with mounted next to each other at the inter-ocular distance, so that when the images are projected onto the dome with the 3D glasses on, the 3d you get is actually very realistic. They had two of these set ups (i.e. 4 cameras) which they rigged up at various positions around the dome. The cameras would then be set to take up to 7 frames per second for about half an hour or so (you do the math as to how many images that is!). Ben, one of our Telescope Systems Specialists, would set the telescope in motion as the cameras fired away. I can’t wait to see what the final results will be like. 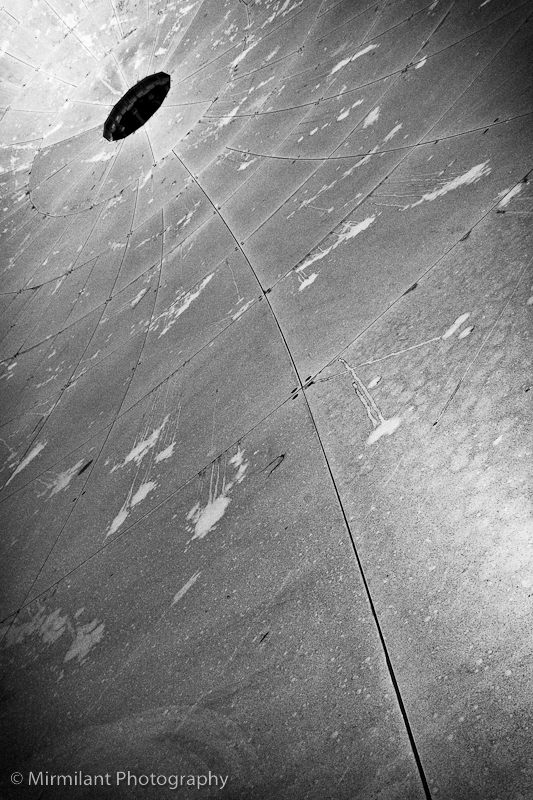 Especially in the big dome at the ‘Imiloa Astronomy Center. While I was there, mostly shepharding and not always successfully trying to stay out of the way, I tried to take a few shots of my own. 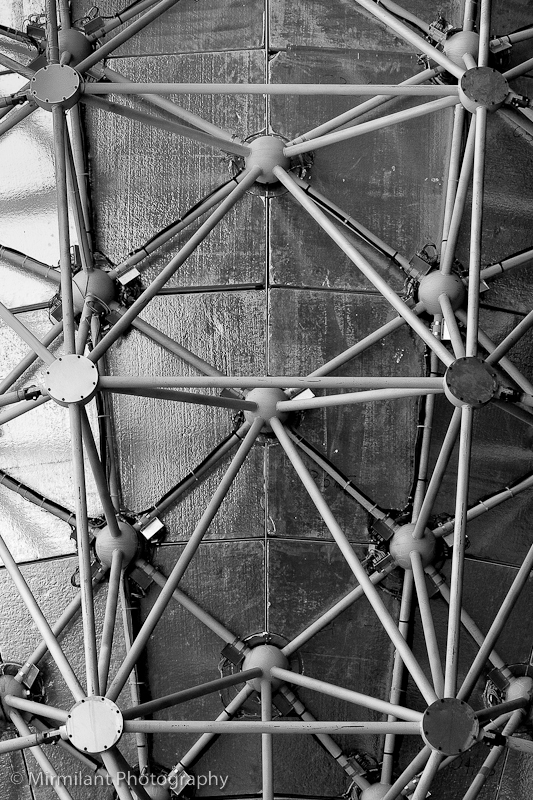 The image above shows a detail of the support structure on the back of the 15-m JCMT dish. 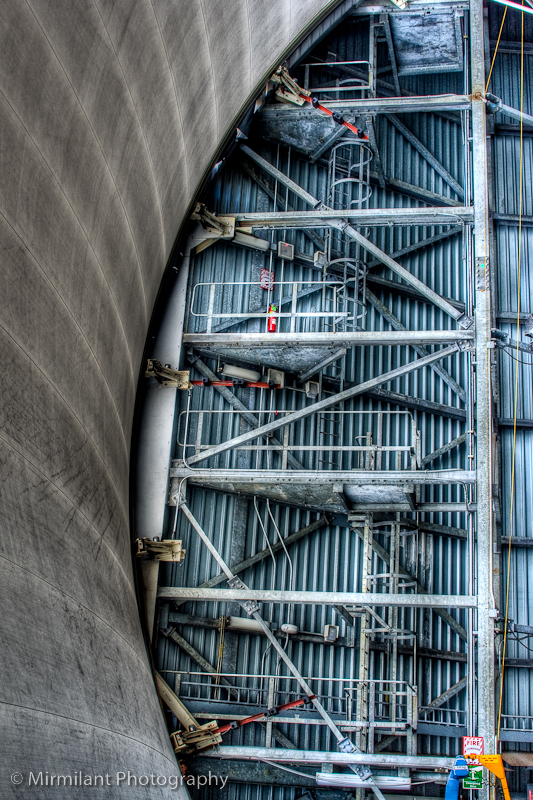 I took some HDR shots of the interior. Without the HDR, we wouldn’t be able to get the detail we see in the shadows together with the detail in the control room (through the window). 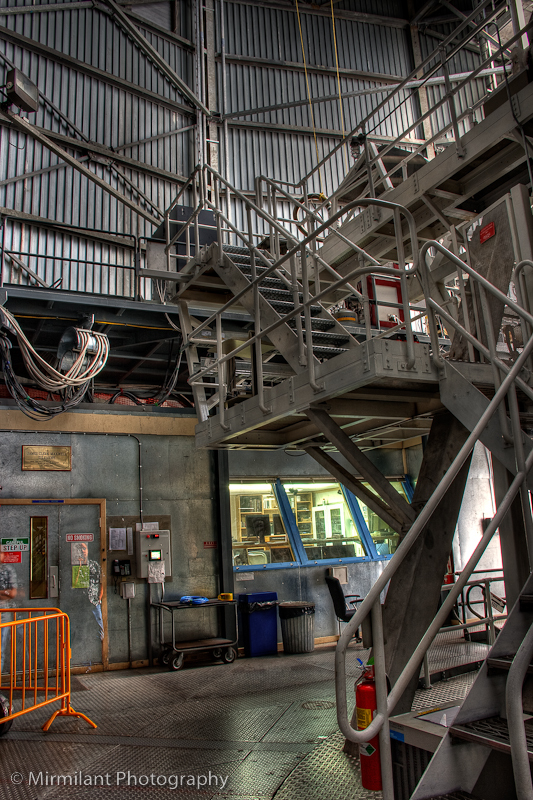 The shot below is also HDR and shows the protective membrane of the telescope, with one of the ladders which takes you to the upper levels and the roof of the building. Finally, the last image I find a bit embarrassing to show. We don’t have a nice shiny dish. It’s quite dirty actually, but luckily it has no measurable effect on the science we are doing at the moment.